On Tuesday, Reliance Industries Chairman Mukesh Ambani addressed Bengal Global Business Summit and announced about the Reliance Jio’s future plans. In his addressal, Ambani stated that JIO will cover 100 percent population of Bengal by the end of December 2018. Mukesh Ambani also committed over Rs 5,000 crore of investments in the state for non-Jio businesses in the next three years. 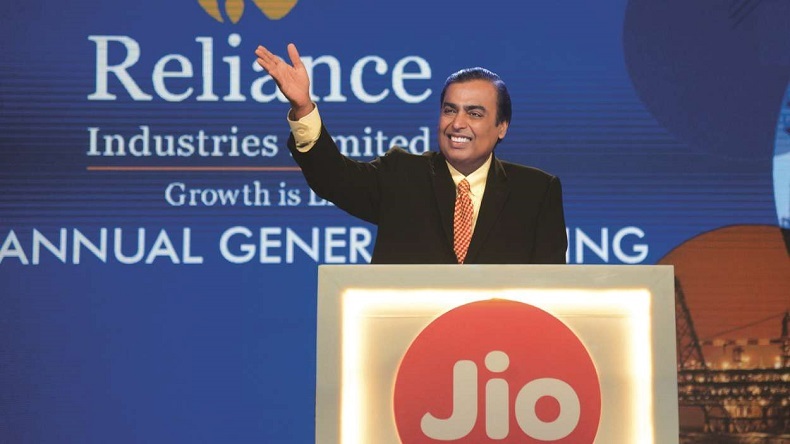 Reliance Industries Chairman Mukesh Ambani said on Tuesday the Jio network will cover 100 percent of West Bengal’s population by December 2018 and also committed over Rs 5,000 crore of investments in the state for non-Jio businesses in the next three years. Addressing the Bengal Global Business Summit here, Ambani said the company will be exploring opportunities for setting up an electronics manufacturing facility in the state. “Our current Jio network covers 1,000 towns and nearly 39,000 villages in the state. Jio will reach 100 percent of West Bengal’s population by December 2018. Every last village will be covered by 4G digital technology. We are embarking on an ambitious project of connecting Bengal with optic fibre,” he said. According to him, Jio will connect every education institution and hospital and medical delivery facility in the state in the next two years by December 2019. He said the group is also setting up digital service centres across India to bring government to citizen services within easy reach of every citizen, particularly in the rural hinterland. “I am happy to announce that with the support of state government, we will launch this initiative in five districts of Bengal with immediate effect,” he said, adding that it would create employment and wealth generating opportunities in both rural and urban Bengal. “It will give birth of digital entrepreneurs in villages and small towns… kick-start e-commerce and support of agriculture, as well as small and medium enterprises,” he added. He also said the group will be working with “multiple partners to explore setting up next-generation electronics manufacturing facilities” and make West Bengal the hub of innovation and hi-tech technologies for consumer devices such as mobile phones, set-top boxes and other devices. He said the company could make this large investment because the state created a “friendly” climate and enabling policy and infrastructure. He said the company would focus on digital space. “We want to empower small retailers with digital tools that help them enjoy the benefits of connecting with their chain of suppliers to customers… our cloud based digital solution will enable digital billing and payments, loyalty, GST compliance and supplier management,” he said According to him, these tools will help them do their businesses more efficiently, grow faster, improve supply chain efficiency and increase customer satisfaction. “We will be creating this set of digital tools and roll them out to the small retailers over the next two years,” Ambani said. Jio will set up a Chair in the honour of Physicist Satyendra Nath Bose in a prestigious institution in West Bengal, he said. Ambani said Bengal has showered “so much of love and affection” for Reliance and Jio and assured the state to be “reliable partners” in its growth agenda.